After selecting a Subscription Plan or a 'Ready-to-Go' option (from the Plans & Prices page), choose your preferred payment method from the options shown above. You can pay via PayPal, or pay using a credit card (VISA, Mastercard or AMEX). 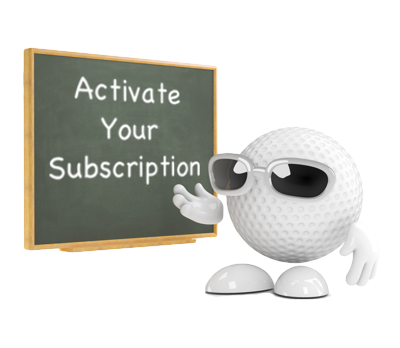 You will then be taken to the relevant payment gateway (e.g. PayPal website) to process the payment. After your payment has been processed, you will be redirected back to the iCaddy Apps website - see Step 2 below. After your payment has been successfully processed, you will be redirected back to the iCaddy Apps website as shown above. 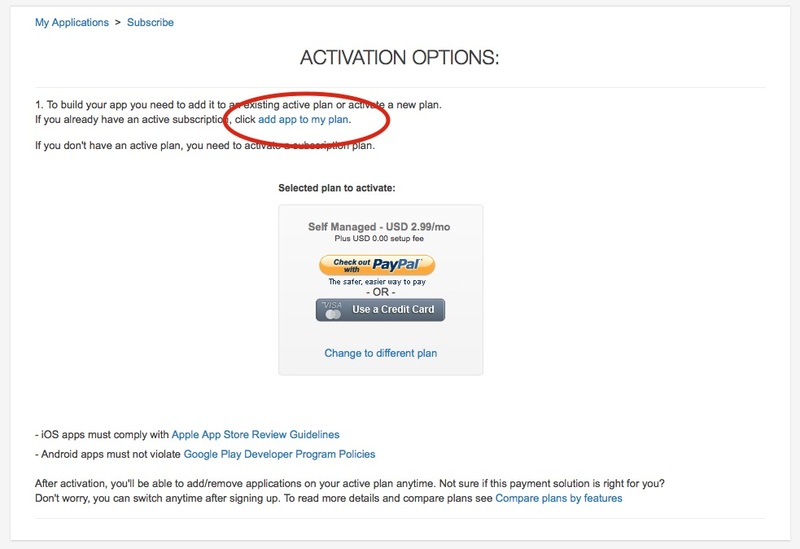 Simply click on the 'add app to my plan' link (circled above). Important: After returning to the iCaddy Apps website, please wait momentarily before clicking the 'add app to my plan' link shown above. 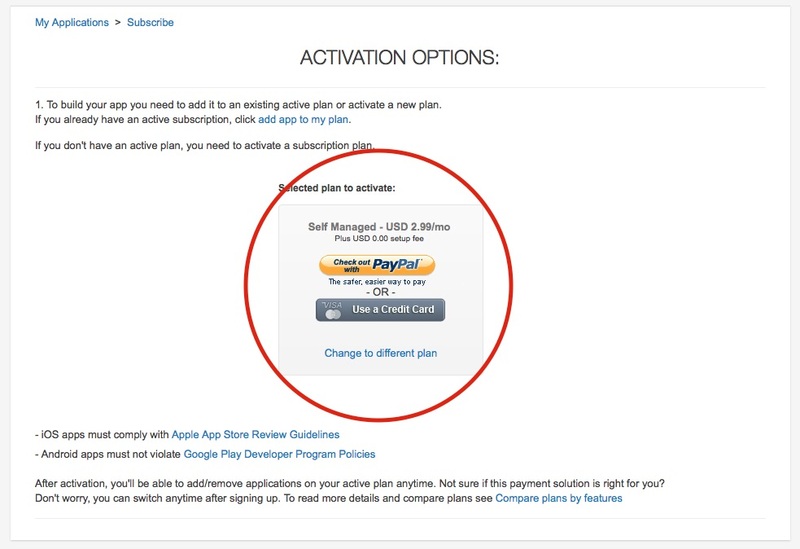 Paypal and credit card payment permissions are normally refreshed in icaddyapps.com every few minutes.